Pea shoots! Isn’t it just great to eat fresh local greens in the winter? The younger they are the more tender and delicious to eat raw. As soon I arrived home after this month’s pickup I made this simple dressing and ate half the bag without even bothering to sit down. The rest I used for breakfast omelets with blue cheese… not bad either! mix with a fork. 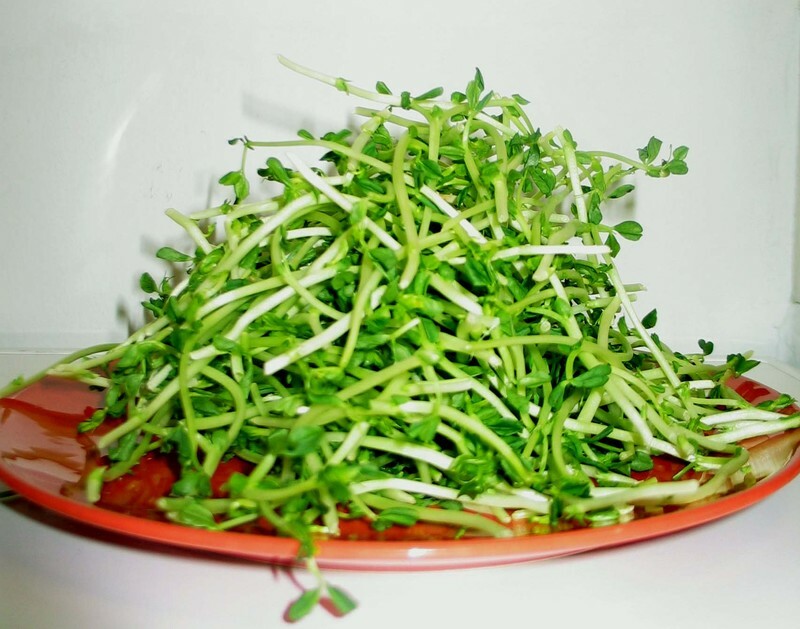 toss in pea shoots. eat with chopsticks!